If my husband had 20 long stemmed roses delivered to my work I'd kill him. And as for jewellery, well, UNLESS he bought it in the Boxing Day sales, AND it was a piece I had been looking at for a while, AND he had performed some miracle to find the money without taking it out of our usual budget, well, the same goes for jewellery. I just don't want to see good money spent on an occasion that celebrates love. That money could be spent instead on some of our longer term family goals like buying a new house, contributing towards our super, going on a family holiday. All better things than flowers that will die. And cost a gazillion times more because it's Valentines day. Love shouldn't cost a fortune. Here are some budget friendly idea's for showing the people in your life that they are loved and special, idea's that WON'T hurt the wallet. 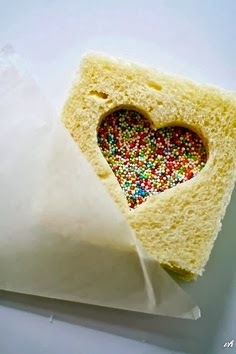 Give their lunch a little Valentines twist! 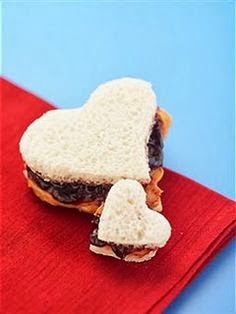 Cut a heart out of the top slice of bread before it is placed on the sandwich letting the bright jam or sprinkles show through. Or maybe cut their entire sandwich into a heart shape. Nothing says I love you like an organ waiting for you in your lunch box. Cost FREE assuming you were making a sandwich for lunch anyway! Use your favourite movie or TV show love quote in a text or email. Find one that will hit the mark with your favourite person, the smile comes from the shared joke. 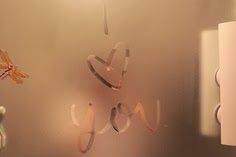 Get all up and steamy in the bathroom on Friday morning and leave a love note. It's got to be worth a smile to be reminded over teeth brushing that someone adores you. Cost $15 approximately to buy all the ingredients if you don't have any of them on hand. COST $5 approximately to rent a movie, often less. For more Valentines idea's, head over to my Pinterest board and while you are at it don't forget to follow Mummy Hearts Money!